Taking cues from the sea lingering outside, the nautically named Silver Shell Café boasts beachy décor, marine colours, and a relaxed vibe that’ll leave your family feeling like they’re on holiday. Lunch on international delights off the a la carte menu, you’re unlikely to regret it, but for more abundance, each night highlights buffets of different themes. Live kitchens are strategically stationed to entice and you’ll feast on amazing fare from the Mediterranean, India, South America, and more. 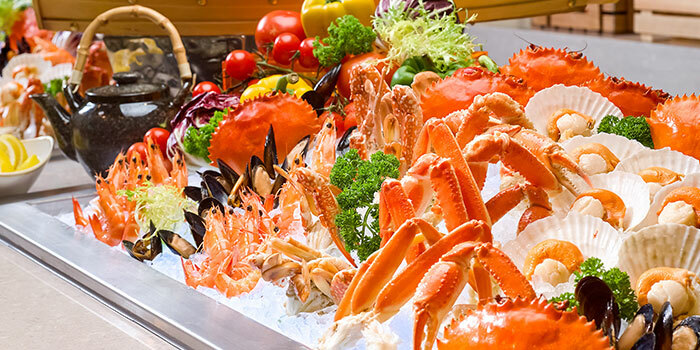 If local delights, racks of lamb, and a smaller selection of fresh seafood aren’t enough to satisfy your crustacean cravings, Saturday evenings’ seafood buffet – overflowing with French oysters, lobsters, scallops, and Alaskan King crab legs – will gain that stamp of approval. Explore world cuisines and end your night on a sweet note with an indulgent dessert table with more than 30 types of chocolate desserts. 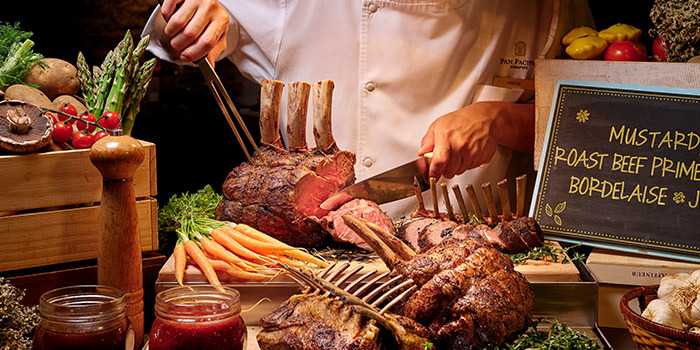 Savour the crackling skin and tender meat of suckling pig, accompanied by popular local fare prepared buffet style. Wednesday Dinner: Roast and Toast! A selection of meats from the rotisserie- enjoy them carved, or toasted with an assortment or wraps and breads, served with perfectly paired fillings and condiments. A 25-kg parmesan cheese wheel takes centre stage at the Italian-themed buffet, as risotto and pasta are tossed in the wheel for an aromatic, creamy finish. Buon Appetito! 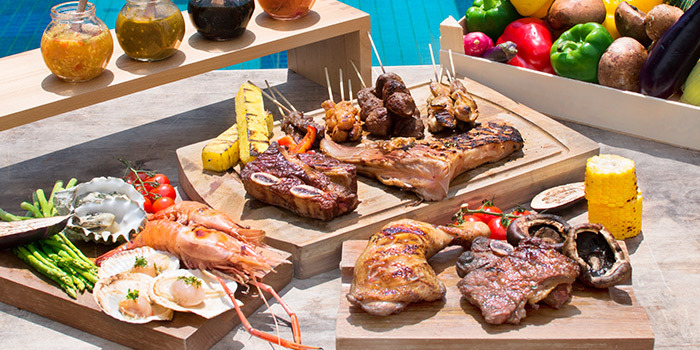 A fresh and succulent selection of seafood and meats grilled a la minute! Be sure not to miss out the signature lamb chops, marinated and grilled to perfection. 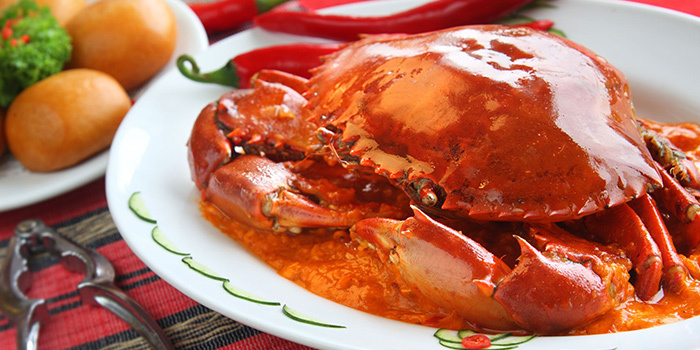 Savour fresh marine catches, including lobsters, king crabs and steamed sea bass prepared with your favourite sauce. A selection of live cooking stations presenting signatures such as slow-roasted wagyu brisket, baked cheese mussels and more. * In-house/ Non-inhouse guest: One child age 5 years and below enjoys complimentary buffet meal when accompanied by one paying adult. 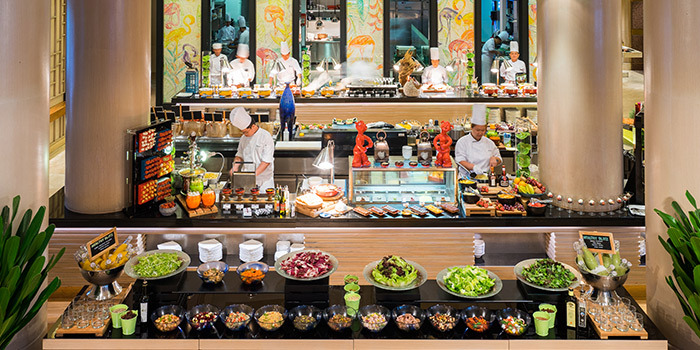 Additional child and child age between 6-11 years will be chargeable at 50% of the adult buffet price. Please note that buffet prices are subject to change at restaurant's discretion and are accurate as of noted date. To verify please check with the restaurant directly.